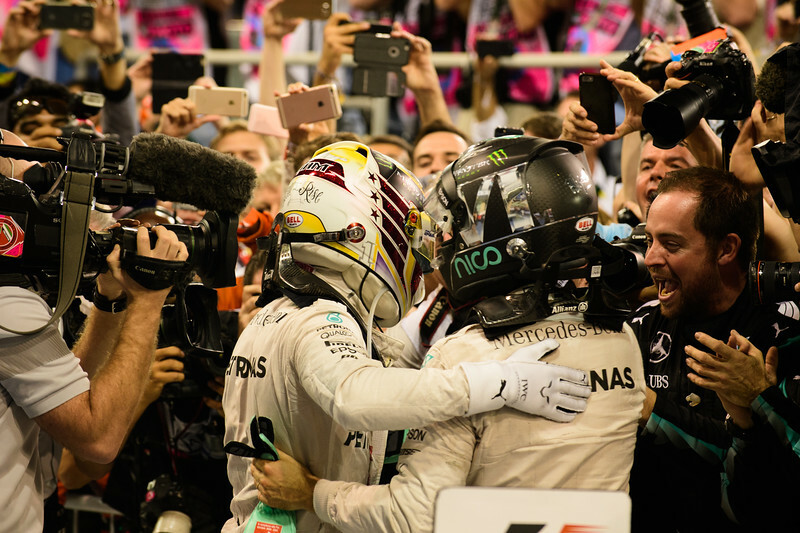 The Formula One week end at Yas Marina was dominated by the Mercedez, a game of two till the last corner and strait to the finish line. Lewis did all what was in his power to control and win the race, including racing, believe it or not! He was chriticized for slowing down the pace of the race in the attempt to get Nico passed by Sebastian and Max. He demonstrated in the loss of the championship being a complete pilot in case someone had forgotten. Nico controlled the race with the extra care and the tenace that a driver fighting for his first championship ahead in the race to the title should have had resisting the attacks and corssing second the finish line to become World Champion. Sebastian, third had his race strategically correct and challenged by Max resisted all the attacks with the class and greatness that characterized the season. It was the last Grand Prix for Felipe Massa 10th and Jenson Button 12th.